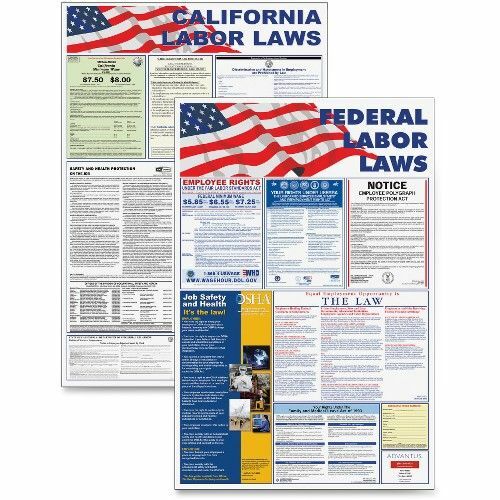 Every employer must post both federal and state labor law posters. Failure to comply may result in fines up to $10,000. Poster is printed in red, blue and black and laminated for long-lasting durability. Perfect for posting at time clocks, breakrooms and job sites. Simply fill in coupon, and the most current federal laws and laws for your state will be shipped directly to your address.